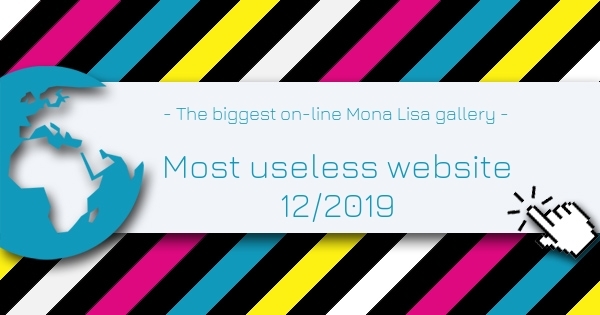 The biggest on-line Mona Lisa gallery is the Most Useless Website of the week 12 in 2019. Mega Mona Lisa is the largest open collection of Mona Lisa pictures, where you can explore hundreds of Mona Lisa parodies, improvements, collages or just funny pictures related to Mona Lisa. Everyone can contribute to the collection, or just vote for the best picture. Leonardo da Vinci would certainly be excited. Turn yourself into the next Da Vinci with this useless website. Rated 2 out of 5 based on 5 user ratings.